Language is the medium by which a person communicates his thoughts and feelings to his fellow men. It is the tool, with which he conducts his business in the society. It is a vehicle, by which different subject matters are transmitted. A person must know something of the structure of his language, its position in the world and its relation to other tongues. A language lives in a society so long as people speak it and use it as their native tongue. A language is important because the people who speak it are important -- politically, socially, commercially, economically and culturally. Importance of English language is doubtlessly great. This data is taken form Christopher Harris's The Global Tongue. The cosmopolitan character of the English language is an undoubted asset for it to attain international uses. It holds a very important position in the world for more than one reason. 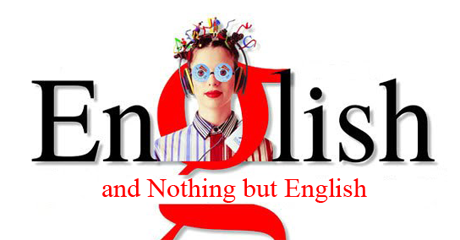 It is not merely the language of English people but spoken daily by several hundreds of millions in four continents. As a matter of fact English language is being used in all the spheres of life, geographically from a tiny island of folk land to the vast land of Australia. According to Cohen (2000, p.2), the dominance of American popular culture has influenced many young Europeans who aspire to the "unfettered, dynamic, creative culture of California" rather than the "rigidity" of many European societies. Volkwagon in Germany called their car the "new beetle" rather than the German equivalent neuer Kafer because advertisers believed it sounded more "hip". Similarly in Asia, English is associated with the glamour of block-buster movies and the pop industry. The English language possesses a rare vitality and there is not the least doubt about its further popularity. It is hoped that English language someday becomes the only language of the world or at least to the highly civilised portion. The vitality of English language is the mark of growth. Prof R. E Zachrison of the University of Uppsala declares “Among national languages English has the strongest claim. It is spoken regularly by several hundreds of millions in four continents, and is the official governing language of many more. It is taught as a compulsory subject in most of the higher schools in Europe and in numerous schools in Asia. For simplicity of grammar and a cosmopolitan vocabulary, it has no rival among living language.” Its other related virtues like flexibility are highly commendable. According to Crystal, (1987, cited in Pennycook, 1994, p.8) "English is used as an official or semi-official language in over 60 countries…it is the main language of books, newspapers, airports and air traffic control, international business and academic conferences, science, technology, medicine, internet, sports, international competitions, pop music and advertising…". It is the working language of ASEAN, the Asian trade group, and the official language of the European Central Bank, even though none of the member countries has English as its first language (Wallraff 2000, p.3). The extensive economic power of the United States has also influenced many countries to view English as the "key to economic empowerment" (Guardian weekly 2000, p2).